Enjoy an evening of positive, encouraging music and stories shared over coffee and snacks. contemporary Christian music from Ken and Laurie O'Conner. We open the doors at 6:30 for snacks and Tom's homemade pizza. Come on down to the Odd Fellows Lodge for some great Bingo action this Saturday, 4/27. Doors open at 4pm for food/snacks and the Bingo kicks off at 5pm....One big announcement to make, Bingo is now BYOB! This has been approved by gubment! Looking forward to seeing you there! The Marlow Children's Theater Co. is proud to present an adaptation of, "The True Story of the Three Little Pigs," copyright 1996 by Jon Scieszka., illustrated by Lane Smith. Come enjoy some local theater while showing your support for our Marlow area kids and historic Jones Hall. 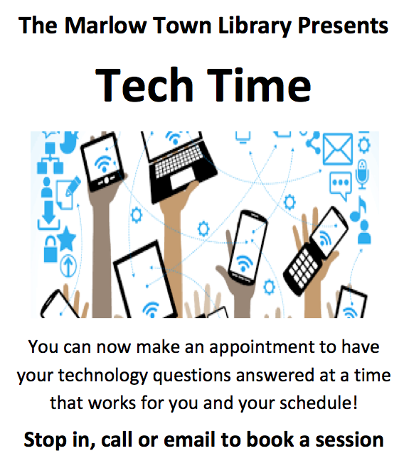 Tickets: Starting the week of April 29th, pick up your tickets for either or both of our show dates at the Marlow Town Office during normal operating hours or over at Perkins Academy between the hours of 8:30 am - 9am or 12:30 pm and 1pm. Or buy your tickets and or donate to MCTC online right here! *Remaining tickets will be available at the door. Jones Hall has limited seating capacity for each of our performances so make sure to reserve your tickets soon. We look forward to seeing everyone back at Aaron's! This town, a largely undisturbed agricultural community on the northern border of Cheshire County, is the prototype of a Yankee rural village.It was granted in 1753 under the name Addison, in honor of Joseph Addison, British essayist and poet, and Secretary of State for England, who signed the appointment papers making John Wentworth Lieutenant Governor of New Hampshire under the jurisdiction of Massachusetts in 1717. Although there are persistent rumors that Marlow is named for the English poet, Christopher Marlowe, it seems more likely that, like many New England towns, Marlow is named after a place and the name "Marlow" recalls Marlowe, England. Perhaps some of our early settlers came from that region. A New Hampshire source supports this view: New Hampshire: A History, Resources, Attractions, and Its People volume 1 by Hobart Pillsbury. He wrote, "It was re-granted in 1761 to William Noyes and others and named Marlow after an English town" (Pillsbury, p 234). Genealogical research on the origins of Marlow's settlers might shed light on the issue. 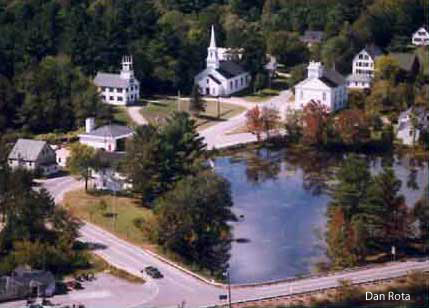 The picturesque village center, with its white church, Odd Fellows Hall, Town Hall and lily pond is one of the region's most photographed scenes and often the subject of an artist's brush. Marlow is the site of many marks of glacial action, and minerals are still found here. A woodworking industry once used the water power of the Ashuelot River to produce tools, furniture and wooden buckets from lumber cut nearby. Friendly Meals is a time for seniors to get together the first Tuesday of the month to enjoy a meal and conversation. Held at the Odd Fellows Hall with coffee at 11:30 and dinner at 12pm. Friendly Meals is open to anyone 60 or over. It is a program of Home Health Care. A donation of $3 is welcomed. Call Sharon at 446-7064 the Friday before for reservations. Click the "Free Movie Night" link to see what is showing next! the Jones Hall Renovation Fund. Please consider shopping at Smile.Amazon.com and help support the Marlow Children’s Enrichment Trust by choosing our 501(c)(3) non-profit group to receive .5% of the proceeds of your order. The process is simple - there is no cost to you, it's easy and fast to sign up, and it's easy to change to another non-profit to spread the funds! Thank you for your support!